After Apple announced the availability of iPhone 4S and its key feature Siri globally, Filipino were expecting that there will be issues in terms of accent and locations. Ate Vangie is a Filipino imitator of Apple’s Siri personal voice assistant has becoming viral on YouTube, social media and networking sites. 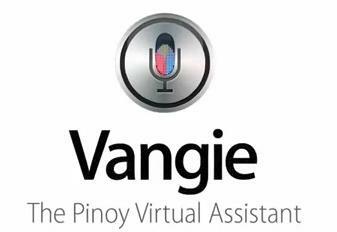 Vangie was created to function like Siri addressing certain issues like Pinoy English accent and understanding Filipino culture. The video shows the combination of modern technology and Filipino culture, a spoof made by Macapuno System. Many of us envy those iPhone 4S users probably because of its feature that’s gotten the most attention is the voice personal assistant app called “SIRI“. If you watch the video of Introducing iPhone 4S, you will see how awesome SIRI is, you can ask to read message, reply to a text, requesting to find a location or establishment and many more. With million of free apps, Android is still the most preferred mobile operating system and more users are choosing Android powered mobile phones. IRIS – “Intelligent Rival Imitator of Siri” – is an unapologetic nod at Apple’s wise-cracking artificial intelligence, an Android Voice Recognition App which is becoming very handy and useful. IRIS developers have worked out a deal with popular instant answer engine ChaCha.com, which will now be powering the content that works in conjunction with Iris to answer questions asked by users. It will also get content from another faster content engine DuckDuckgo that uses information from crowd based websites like Wikipedia and Yahoo Answers to answer questions. You can ask anything like conversions, art, literature, history, and biology and mostly, it will answer with a paragraph from Wikipedia. 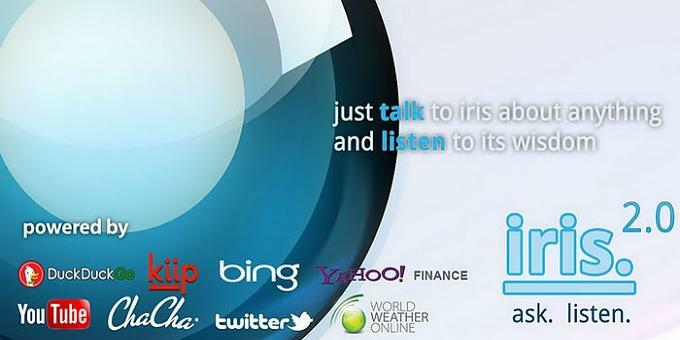 IRIS was developed by Dexetra for about 8 hours and its now available for download free of cost in Android Market. It can be installed in any Android devices with version 2.1 and above. Viber for Android – Completely free calls and messages, get it now! Viber is a mobile app offering free phone calls and text messaging to other Viber users over 3G and Wi-Fi. It is also one of the most popular app for iOS platform for iPhone, iPod touch and iPad but now, it is finally available for all Android users. Viber on Android can communicate with friends on iPhone and vice versa. It support most brand of Android devices like Samsung, HTC, LG, Motorola, Sony Ericsson and more. Soon to be available also for Blackberry, too! One of my friend told me about Viber app when she got her new Android phone. She said that this app is completely free that’s why I started to check this out online. I found out that Viber now has over 20 million registered users and 12 million active users who currently talk on Viber for 11million minutes everyday, with an average of 6 minutes per call. BEST SOUND QUALITY: Viber’s cutting edge technology ensures HD sound quality that is much better than GSM or a regular phone call. 100% FREE: Viber and all our features are completely free, with no subscriptions or purchases. Avoid mobile phone “bill shock” – call and text other users, on any network, as much as you want. All you need is a 3G or Wi-Fi Internet connection, and friends who get Viber too! SIMPLE TO USE: Viber just works, and lets you connect with your friends whose numbers you already have. It synchs with your mobile phone number and contact list to instantly show who already has Viber. Never again must you seek out your own contacts, create new usernames, or build new lists. ALWAYS ON: Viber runs in the background without draining your battery, so you always receive incoming calls and message notification. AD FREE: Viber doesn’t accept advertising and promises mobile text and calls will always be free, and ad free. You can now download Viber in Android Market.